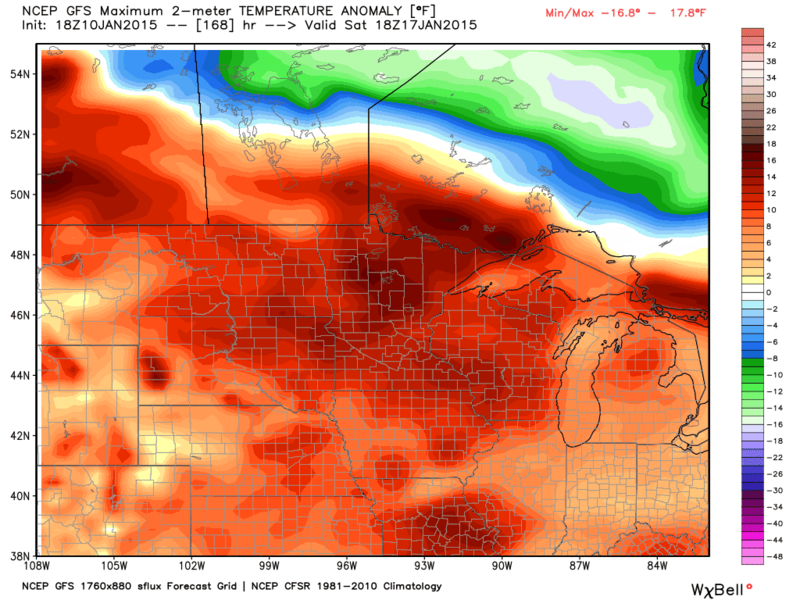 Midwest Winter Weather Blog: Warm and January Thaw on the Way! After a week of extreme cold and gusty winds associated with wind chill advisories and warnings for much of the week, the tide will turn in terms of temperature by late next week. 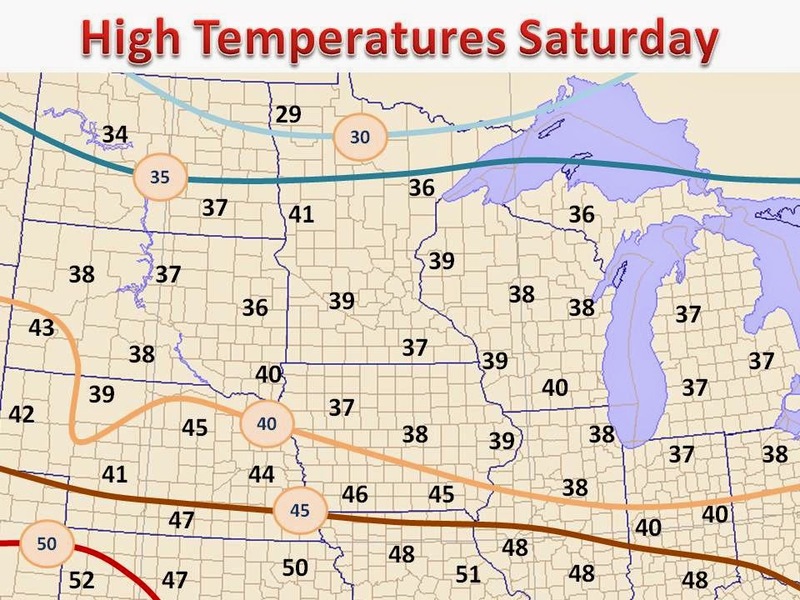 The map on the left are the forecasted high temperatures for next Saturday using a model blend. Much of the Midwest will be above freezing by next weekend, and with the sun shinning over several days, those piles of snow and snow covered driveways will see some relief, along with your heating bill! The warmth looks to stick around through the following week. On the right is the 6-10 day temperature outlook from the National Weather Service's Climate Prediction Center. It clearly shows much of the country, with the Midwest at the epicenter, will be at or above normal high temperatures. The jet stream will push north and winds will shift to a more zonal direction. This west to east flow will create adiabatic warming over the Rocky Mountains. As the air is forced up over a mountain and then forced down, parcels of air will see an increase in pressure but maintain their thermodynamic properties and warm as they sink. This warmth will manifest itself eastward, into the Midwest and much of the country by the weekend. Below is a map showing just how much above average will get to. Enjoy the warm up!